In the previous post I wrote that in this post I will write about Tohoku Rokkonsai Festival that hubby and I attended in Akita City on 30th May. 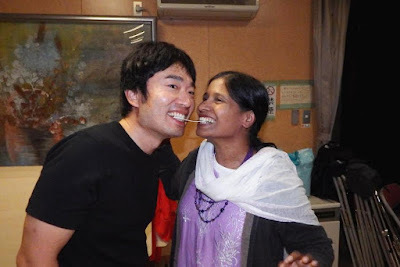 But today I decided to first write about our tenth marriage anniversary celebrations and get back to the post about Tohoku Rokkonsai Festival next time. 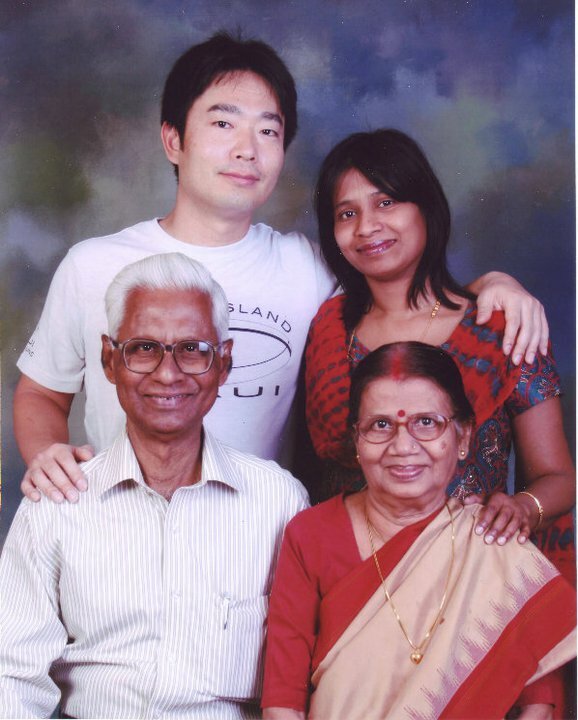 13th October was our 10th marriage anniversary day. 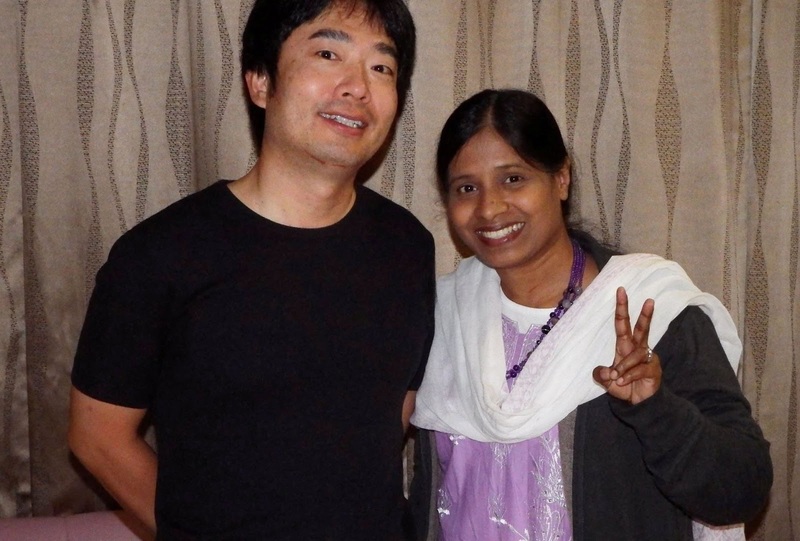 The anniversary day brought back happy memories of the day when we decided to get married about eleven years ago. However, it also reminded us of the requirement of many legal documents from India and various legal formalities to be completed for an 'international marriage' like ours in Japan. 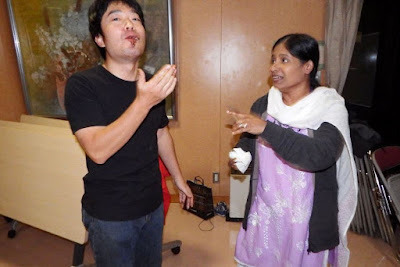 By the time we finished the registration of our marriage at the city hall in Tsukuba City (where I lived at the time) and also at the Embassy of India in Tokyo, hubby and I were really tired of all the legalities. Our reaction after getting married was not of happiness but rather a sense of relief. We were physically, mentally, and emotionally exhausted after dealing with all the procedures and legal documents for almost eight months. And therefore we had absolutely no mood or feeling to have a wedding ceremony or even a marriage party with friends or relatives. 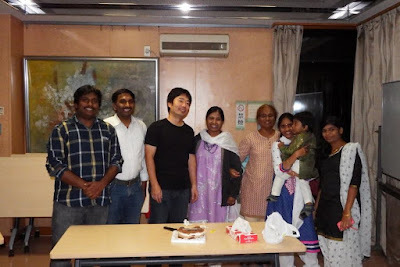 So this year being our tenth marriage anniversary, we decided to have a small get-together with our Indian friends of Akita prefecture. In fact in the month of October, we had two dinner parties to celebrate our anniversary. 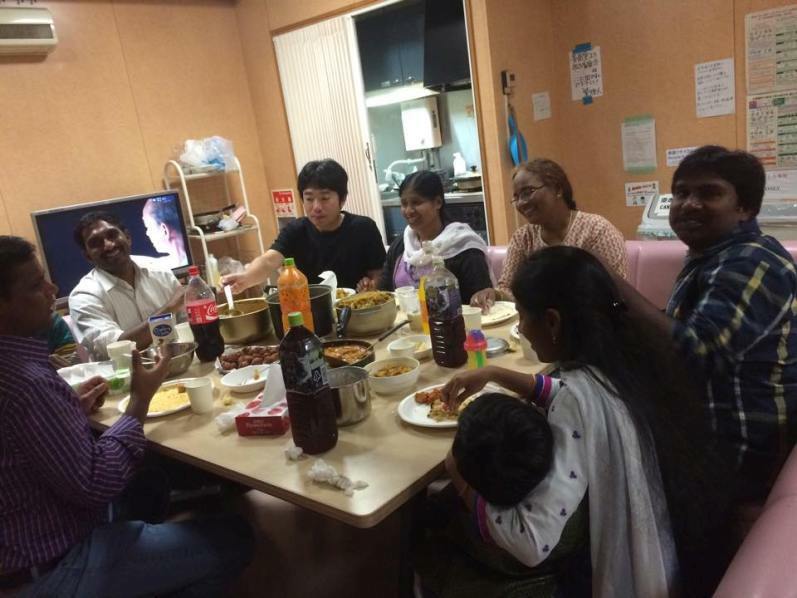 One of the dinner parties was given by our friends to us and the other one was hosted by us. 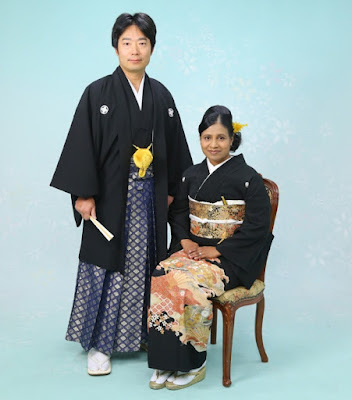 On 4th October, hubby and I took some professional portraits of us at a photo studio in Akita City to mark the special occasion of our tenth marriage anniversary. 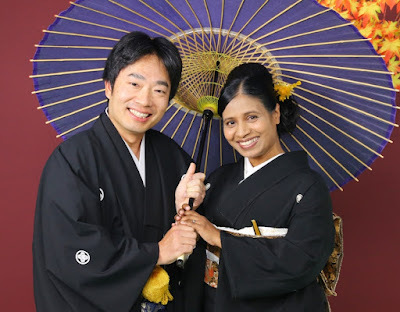 We wore traditional Japanese formal Kimono that we rented from the photo studio itself. The staff helped us in wearing the Kimono, and also helped with my makeup and hair styling. 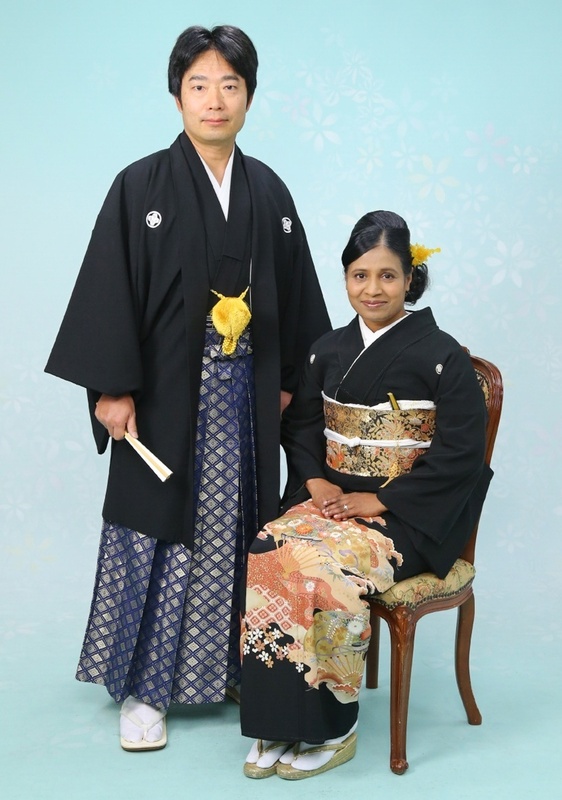 Hubby looked really very smart and handsome in Montsuki Haori Hakama Kimono. I wore a Tomesode Kimono and the makeup made me look so remarkable and flawless. We really enjoyed posing for the photographs. Both of us are a bit camera conscious and the professional photographer probably had a hard time to make us smile and relax during the photo session. The photographer, being a professional, did his job well. We are really happy that we took the professional portraits this year on our marriage anniversary. The photographs have come out really great and are wonderful for the sake of memories. Below are the photos that hubby took of the portrait photographs bound in hardcover. On 11th October, Indians of Akita prefecture had a dinner party at the Multipurpose Hall of the International House of Akita University located in Akita City. International House provides accommodation to foreign researchers and students, and is located near the university. 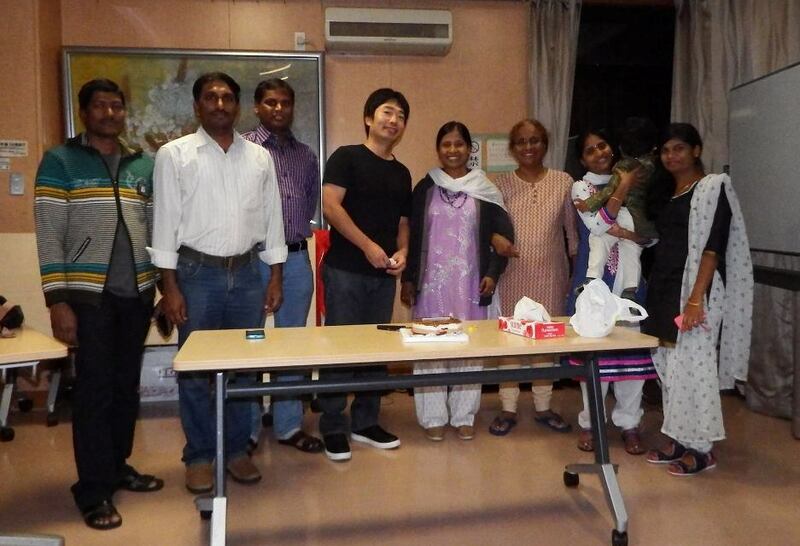 Since most of the Indians are researchers or students at the university, it was easier to arrange the party there. Hubby and I reached the International House at about 4 pm. All the Indian friends were already present at the Multipurpose Hall. The hall is a common facility having sofa sets, television, and a mini kitchen. 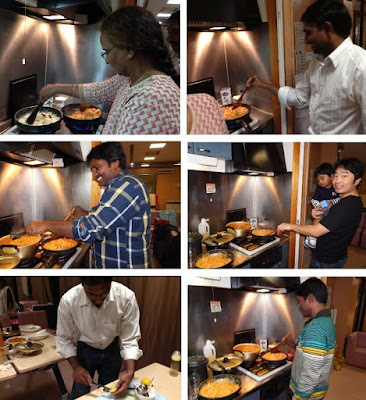 We all cooked dinner of Indian food that day. It was fun to chat with everyone and cook food. 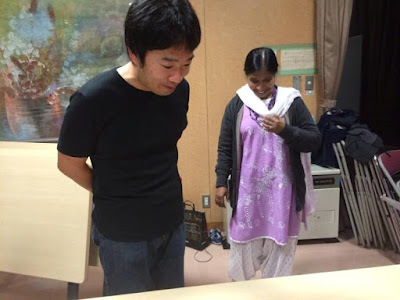 Also it was really fortunate that one of my researcher friends from my Ph.D days (2.5 decades ago at Pune University in India) was visiting Akita University for about a month. So we chatted a lot that day, and it was nice to talk about the bygone days. 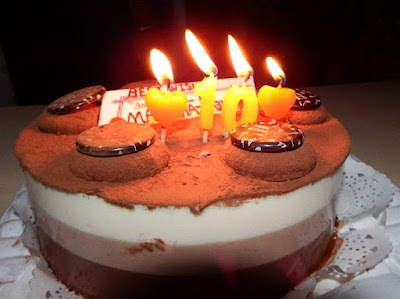 Just before having dinner, all the members presented hubby and me with a surprise anniversary cake to celebrate our tenth marriage anniversary. 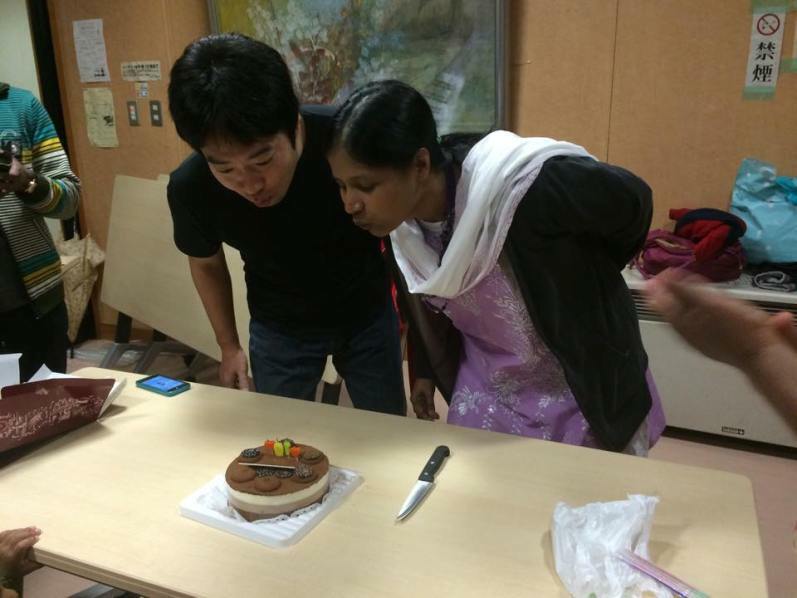 They had ordered a personalized anniversary cake from a local bakery. The decorated cake looked so beautiful. 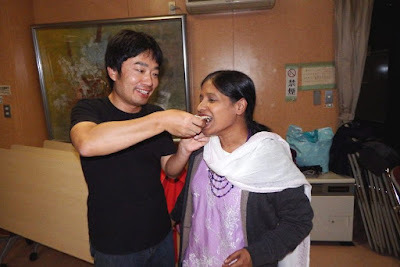 Hubby and I blew the brightly lit candles out, cut the cake, and fed each other a piece of the cake. The cake cutting ceremony was so much fun. I fed hubby a very big piece of the cake and his expression was priceless. 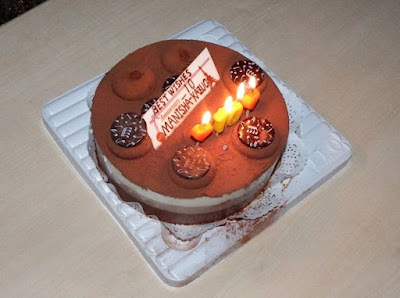 In addition, we both bit into a fondant cutout decoration of the cake with our names inscribed on it. This pose was really too funny and everyone had a great laugh. Afterwards hubby and I made sure that everyone also had a piece of the cake. We clicked several photos of the cake cutting ceremony for the sake of memories. Soon afterwards we had dinner. 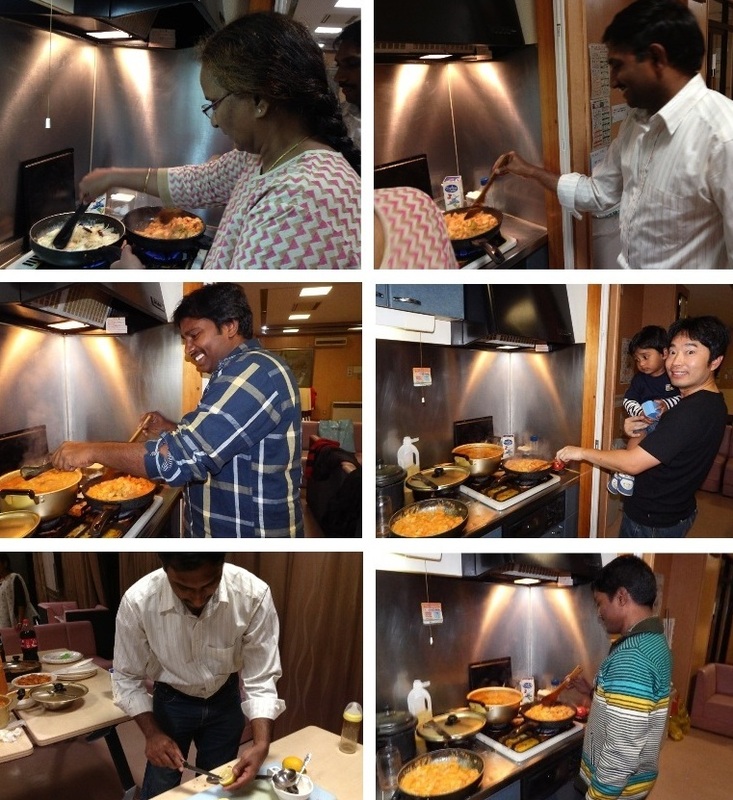 It was so nice to have Indian food cooked by ourselves. We had chicken Biryani, gravy chicken curry, dry chicken curry, Sambar, and pickles. Everything tasted just perfect. 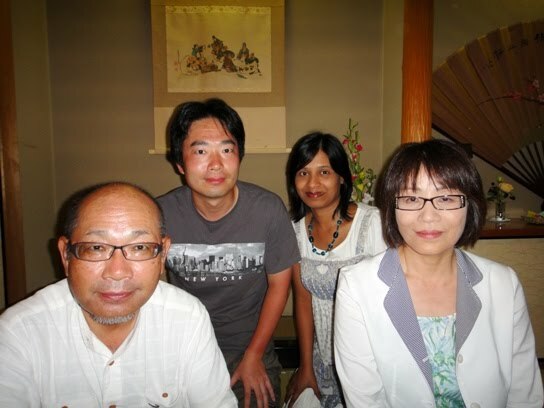 Hubby and I had a wonderful evening with the Indian friends of Akita prefecture. 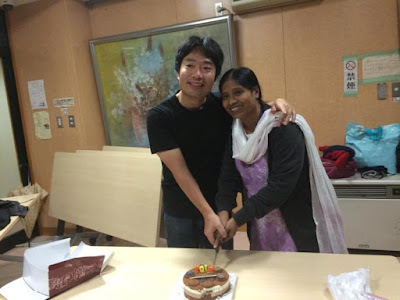 13th October was our marriage anniversary day, which fell on a weekday this year. In the evening while returning home from his office, hubby bought various kinds of sweets from a convenience store located near our home. We had the sweets after dinner. We had a quite anniversary night. Next, hubby and I hosted our tenth marriage anniversary party on 24th October. 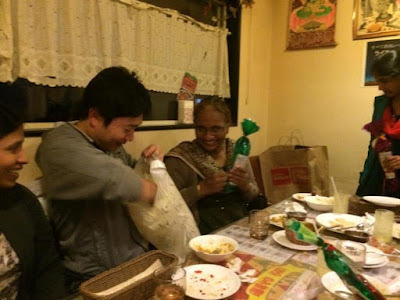 We organized a dinner party for our Indian friends of Akita prefecture at an Indian restaurant named Lakshmi located in Akita City. The restaurant is small but very clean and serves authentic Indian food cooked by a Nepalese chef and his assistants. We had pre-booked and pre-ordered party menu, and the choices were also pre-ordered. 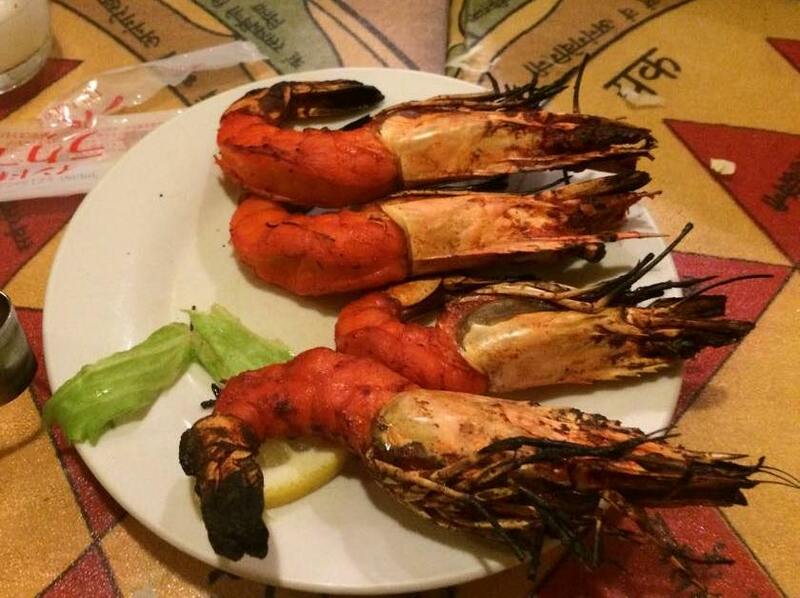 The dinner consisted of several courses with something of every taste available in our pre-ordered menu. 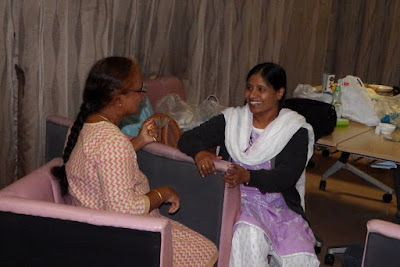 We all loved the Indian food very much and thoroughly enjoyed ourselves. After the dinner, hubby and I presented Halloween themed candy packets to everyone as thank-you gifts. Also, our friends presented us with two photo frames for which we are very thankful to them. It was a wonderful night. Hubby and I had a very good time in the month of October. Just now I realized that ten years of married life have passed so quickly. Forever seems like a long time but I wouldn’t mind spending it by hubby’s side. 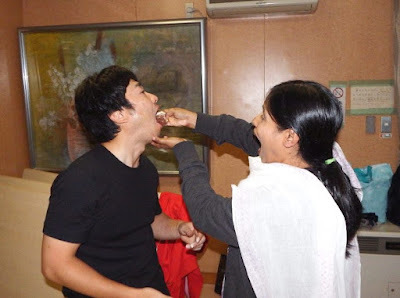 Wonderful blog Manisha and congratulations to both of you on 10th anniversary. Wish you many more to come!! Belated wishes for your 10th Anniversary and wish you many more decades of happy married life. Well, what does prefecture mean? Is it similar to what we call a city? Thank you very much for the wishes Fayaz Pasha. Prefecture is like our state.